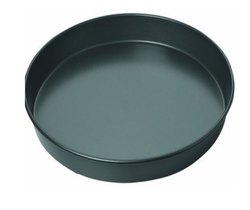 Fluoropolymer Non-Stick Coated Baking Pan is coated with materials designed to prevent food from sticking to their surface during the cooking process. Most non-stick pans are made using teflon (PTFE) coating. 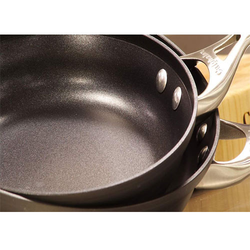 Non-stick pans are useful in cooking since they require much less cooking oil to allow the food to be moved about the cooking pan. We are known for manufacturing high quality water based PTFE non-stick coatings. Our range of PTFE non-stick coatings are used in various industrial and household products. These water based PTFE non-stick coatings offer unmatched resistant to chemical exposure, abrasion, heat resistant and prevents other depreciation. PTFE Coating on Automotive Components are mainly used for corrosion protection and dry lubrication. These provide protection against corrosion to Automobile and industrial components which are coated with PTFE. Our organization is rendering Teflon Coating Service . Green Sense Energy Systems Pvt. Ltd.